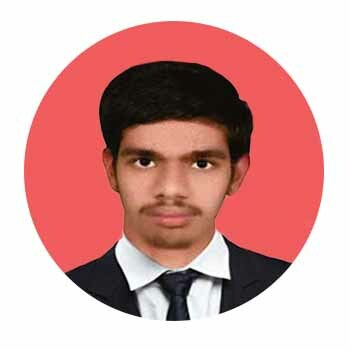 I am Rishav Raj from Jhajha,Bihar.I have secured 96.5% in Xth Board(ICSE) ,AIR 6 in AIIMS,AIR 138 in NEET & AIR 15 in JIPMER and I'm interested in research activities. AIIMS entrance exam is different from other exams in the sense that it includes Assertion -Reason based questions which are very important to test the logical brain of the student. In the beginning , I faced difficulty in GK but later on I started reading Newspaper( because AIIMS has started giving priority to Current Affairs) to cope up with that. No, I had no such influential part in my life that motivated me to take up medicine as a career.I dreamt of taking Medical Science since my childhood. Apart from my school time,I managed to make time for self -study because self-study is most important for a student. Most important point of my study strategy was that I focused maximum in my classes so that most of the concepts are cleared in the classroom itself. I studied daily 4-5 hrs and in that time,I practiced as many questions as possible. No,I had no timetable as such.I used to study as and when I wished to. Question.10	What role did the internet play in your preparation? I didn't use internet,smartphones,social media,etc. in my 2 years of preparation. Question.11 Did you ever doubt your ability to get selected in this entrance exam? If we desire to achieve something,we can't doubt ourselves otherwise that doubt will keep demotivating us from inside. Question.12	Do you think classroom coaching is essential for getting a good rank? How? Yes,for getting a good rank classroom coaching is essential as a good coaching guides us ,keep us motivated and most importantly the support of Faculties can help us to achieve wonders. Question.14 Which books did you read for theory? For theory,I read NCERT and my notes. Question.15 Which books did you read for MCQ’s? How you practice MCQ? Question.16	Is there anything specific to keep in mind while preparing for AIIMS? While preparing for AIIMS,one must have in mind that all our concepts must be Crystal Clear. As we prepare for AIIMS,the syllabus of AIPMT/NEET comes under it so I didn't have any problem in tackling that. Question.18 How did you prepare for the image based questions? For image based questions,I used to visualise them in my mind and this helped me a lot in dealing with such kind of questions. Focused & concentrated study and practicing many test papers. Question.20 What is your advice to future aspirants? Be focused & consistent in studies.Have cofidence in oneself and concentrate on your knowledge and not the results.